According to the New York Daily News, Congressman Grimm is getting no support from Republican leaders. The Congressman has been released from the National Republican Congressional Committee's "Patriot Program", designed to help Republicans in swing districts. He was uninvited from a May 10 fundraiser for the program. Speaker of the House John Boehner said he thinks Grimm "made the right decision" in stepping down from the House Financial Services Committee Monday. Eric Cantor is expected to meet with Grimm regarding the situation Wednesday, with no word on what Cantor will say to Grimm regarding his re-election campaign or if he will resign. 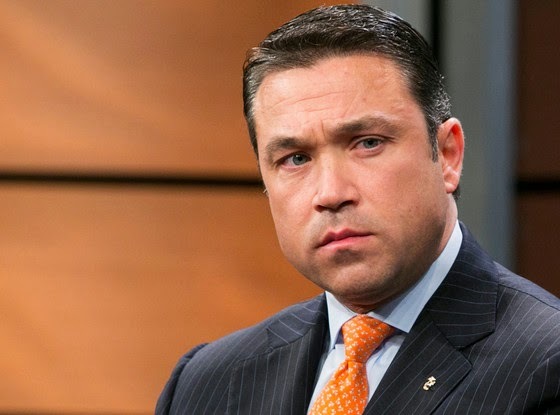 Congressman Michael Grimm was charged Monday morning in a 20 count indictment ranging from wire and mail fraud, perjury, hiring undocumented workers, and filing false tax returns. The allegations stem from Grimm's ownership stake in "Healthalicious", before his run for Congress, in 2010. According to Loretta Lynch, U.S. Attorney for the Eastern District of New York, Congressman Grimm avoided paying both federal and state taxes and hired illegal aliens to work for him. Allegedly Grimm was paying workers "off the books" in cash in order to pay less in workers' compensation insurance as well. Congressman Grimm was released on $400,000 bail and stepped down from his position on the House Financial Services Committee. Stating how he believes the attacks are "a political witch hunt", Congressman Grimm vows to stay in office and prepare for this year's upcoming election against Domenic Recchia. Grimm cannot drop out of the race, as the petitioning period for this years Congressional elections in New York have passed. Tune in Thursday night at 8pm for "The Vito and Vito Show" to hear more about the Grimm indictment and what the local GOP is doing about it.